Is Australia still up in smoke about pot? Everything’s gone green. With Canada set to legalise recreational weed in just under two weeks' time, and the US hot on its northern neighbour’s heels, we’re seeing the rapid emergence of a hothouse industry that has far outpaced earlier predictions. According to a report published by Arcview Market Research alongside BDS Analytics, worldwide consumer spending on legal weed is now expected to reach US$57 billion by 2027. Breaking that down, recreational spending is projected to cross the US$35 billion mark, while medical cannabis spending is expected to hit $US19.1 billion. Specifically, the North American segment will account for most of the total, growing from US$9.2 billion in 2017 to US$47.3 billion by 2027, and at a compound annual growth rate (CAGR) of 18%. American users are already buying around US$50 billion worth of marijuana per year — this is expected to grow to US$75 billion in sales by 2030, according to research firm, Cowen & Co.
A couple of explanations underpin the growth of this particular segment — one being the increasing legality of medical cannabis for the many ailments that affect older people. Another could be that seniors’ mindsets in relation to the drug’s acceptability are simply changing. Returning to the global pot movement, according to executives with some of the largest pot companies in Canada, the legal cannabis train is also set to take make some European stops. Bruce Linton, CEO of Ontario-based Canopy Growth (NYSE:CGC | TSX:WEED), expects England to have a fully developed pot market within five years, on par with what Canada has today. Linton’s company already has a presence in 11 countries, including Denmark, Germany and the Czech Republic. Business from about 1,000 German pharmacies contributed some 10% of the company’s sales in the last quarter, Linton said. Canopy Growth recently became the first pure-play pot-stock whose valuation has entered the large-cap corridor (with a market cap of at least $10 billion). Last month, beverage giant, Constellation Brands (NYSE:STZ), bought a multi-billion-dollar minority stake in Canopy Growth, which — alongside Canada’s impending legalisation of recreational weed — saw the company soar to unprecedented highs. Sebastien St. Louis, CEO of Hexo Corp. (TSX:HEXO), sees recreational pot legalised in the UK as soon as three years from now. St. Louis estimates that the EU market could be worth US$110 billion annually. The CA$1.64 billion-capped Hexo recently partnered up with Canadian brewer, Molson Coors (NYSE:TAP), to develop non-alcoholic, pot-infused beverages for the Canadian market. While Australia, on the other hand, has been making slow but steady strides in this general direction, we’re still very much behind the legislative and cultural landscapes of the US and Canada. Queensland’s first medicinal cannabis access clinic officially opened its doors earlier this week at Belmont, in Brisbane’s southeast. The Brisbane clinic, which adds to Cannabis Access Clinics in Sydney and Melbourne, focuses on helping both doctors and patients navigate the regulatory pathways for prescribing medicinal cannabis products. Before going to the clinic, potential patients will need to get a referral from their GP or specialist who feels they may benefit from treatment. The clinic doesn’t take walk-in appointments, and only sees patients who have exhausted all conventional therapies for their condition and are likely to be clinically assessed as suitable. It works with patients who have conditions including chronic pain (including cancer pain), chemotherapy-induced nausea and vomiting in cancer (CINV), multiple sclerosis (MS), epilepsy, anxiety, sleep disorders, PTSD, and other conditions. While this sounds generally promising, the cost will be prohibitive for many. Patients will be charged an out-of-pocket fee of $300 for an initial consultation, with subsequent visits costing $120, plus $80 for post-treatment monitoring. Depending on which medical condition the patient in question has, the cannabis itself could then set them back up to $600 a month, given that the products are not subsidised under Australia’s Pharmaceutical Benefits Scheme (PBS). While the clinic’s broader focus is to cut the bureaucratic red tape surrounding medical cannabis access, the kinds of limitations at work here point to the fact that the Australian cannabis space is still an embryonic one. Despite positive medical cannabis legislation, the reality of actually accessing the drug in Australia has been described as a bureaucratic nightmare for those who need it. And where Cannabis Access Clinics are attempting to clear pathways for easier access — it claims to streamline the access process in four straight-forward steps — its costs create other practical barriers for many patients. A survey conducted by researchers from the Lambert Initiative for Cannabinoid Therapeutics at the University of Sydney late last year found 61.5% of GPs reported that one or more patient had asked about medicinal cannabis in the three months before the questionnaire. While 58% of the GPs surveyed were in favour of the prescription of medicinal cannabis, fewer than one in 10 knew how to navigate the bureaucracy involved with prescribing it. Currently, Australian GPs wanting prescribe the drug must either become an authorised prescriber for a class of patients, or apply for access per patient through the Therapeutic Goods Administration's (TGA) Special Access Scheme B (SAS-B). They also require approval from their state's health or poisons body and the support of a specialist. That’s the medical piece of the pot puzzle. 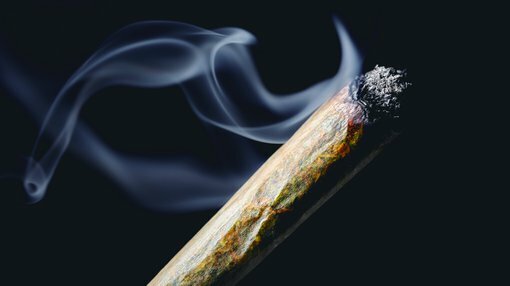 Back in April, the Australian Greens announced a plan to legalise recreational pot use, saying it's time to take the drug out of criminals’ hands. Greens leader, Richard di Natale, said that the “war on drugs has failed”, maintaining that cannabis needs to be sold in a "more tightly controlled" environment, and noting that other countries have experienced a drop in crime after legalising the drug. Note that any decision with regards to adding the stocks mentioned in this article to your portfolio should be taken with caution and professional financial advice sought.